For supervisors to influence safe workers, safety must be something an effective safety leader values. Successful safety leaders must motivate their workers, build efficient strategies and safety culture as well as set a vision for where the company is headed all while maintaining the company’s values. One of the failures leaders have is stating they want to treat everyone the same, but treating workers fair is not necessarily the same as treating them equal. An article in the December 2014 edition of Professional Safety called “The A-B-Cs of Leading a Safety Culture”, Eric Svendsen, Ph.D., discusses the differences of a workforce and the ways effective leadership uses motivation styles to engage workers using the Daniel Goleman, Ph.D., leadership model. Goleman developed four attributes that a successful leader must have: self-awareness, self-management, social awareness and social skills. One cannot manage a group of people without first analyzing themselves. Realizing that no one is ever perfect and focusing on your locus of control is a good first step. A great safety leader learns the language of safety and they develop a personal connection to it, they are aware of where they fit into safety management. This takes learning which values the company and leader upholds while viewing other perspectives and the leader constantly re-evaluating the best choice. Valuing safety and having a vision of an injury-free workplace is essential for effective safety leaders. If a safety leader is aware of where they stand on matters of safety, this makes their job easier in maintaining a safe environment all around. 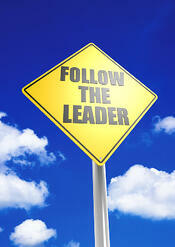 After focusing on the core safety values, the leader must take time to view the workers they are in charge of. Realizing how much a worker is engaged is the first step in determining the correct style of leadership. Depending on the performance level of the worker, the safety leader may engage with the worker differently. Using Goleman’s leadership model, Svendsen writes three main styles of leading workers. Directing Style - when the worker needs a lot of direction or “hand-holding”. Motivating Style - when the worker needs a bit of a push to get to the next level. Coaching Style - when the worker is active and simply needs a general direction to head towards. An example of this may be if the worker is a low performer, the leader may need to talk with a more authoritative or directing style stating exactly what needs to be done in detail. Safety leaders must first understand their crew members risk tolerance with worker safety. Afterwards they must evaluate where the workers stand and which style of leadership they should use. These skills do take time, but it is important to focus on what works best for your company.